If you boot the computer up and look around, you can find out more about this in-browser emulation of an early Macintosh. HyperCard was a piece of application software and a programming tool for Apple Macintosh and Apple IIGS computers. It was among the first successful hypermedia systems before the World Wide Web. 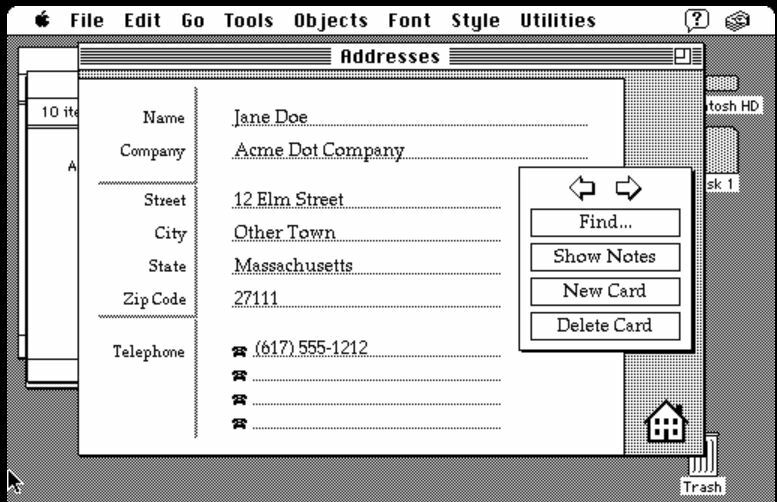 HyperCard combined a flat-file database with a graphical, flexible, user-modifiable interface. HyperCard also included a built-in programming language called HyperTalk for manipulating data and the user interface. This combination of features – a database with simple form layout, flexible support for graphics, and ease of programming – led many people to use HyperCard for many different projects. Some people used HyperCard as a programming tool for rapid application development of applications and databases, others for building interactive applications with no database requirements, command and control systems, and many examples in the demoscene. HyperCard was originally released in 1987 for $49.95 and was included for free with all new Macs sold then. It was withdrawn from sale in March 2004, having received its final update in 1998. 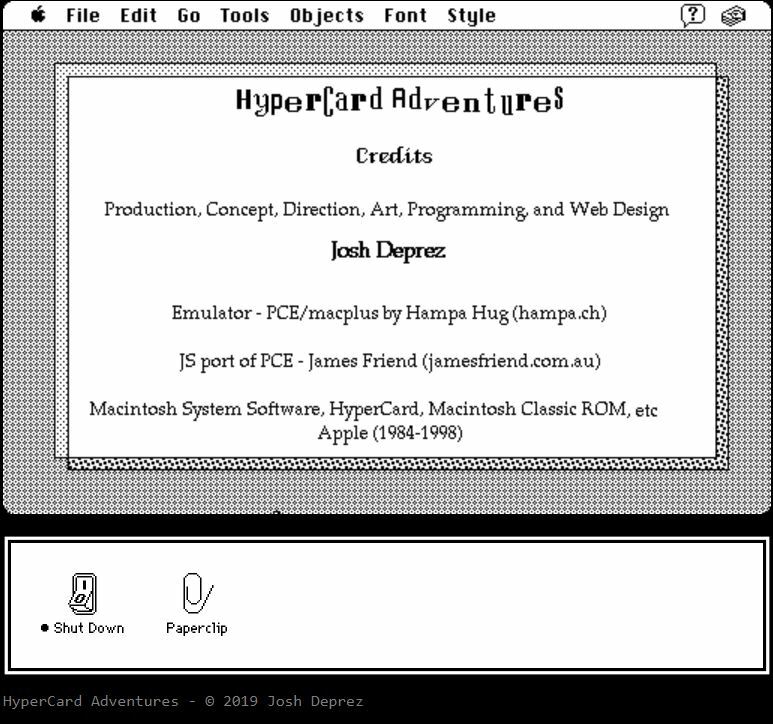 HyperCard ran in the Classic Environment, but was not ported to Mac OS X. So, go on over to hypercardadventures.com for some nostalgic fun and the amazement that such a computer may now be emulated within a web browser.